Kratom is a plant indigenous to Thailand, Indonesia, Myanmar, and Papua New Guinea. It has properties of both opiates and stimulants. Conversely, kratom is sometimes used to treat both opiate and heroin withdrawals. Ultimately, kratom for opiate and heroin withdrawal increases a person’s risk of kratom addiction. To better understand why this is the case, let’s take a closer look at opiates and heroin, as well as the use of kratom to treat opiate and heroin withdrawal symptoms. 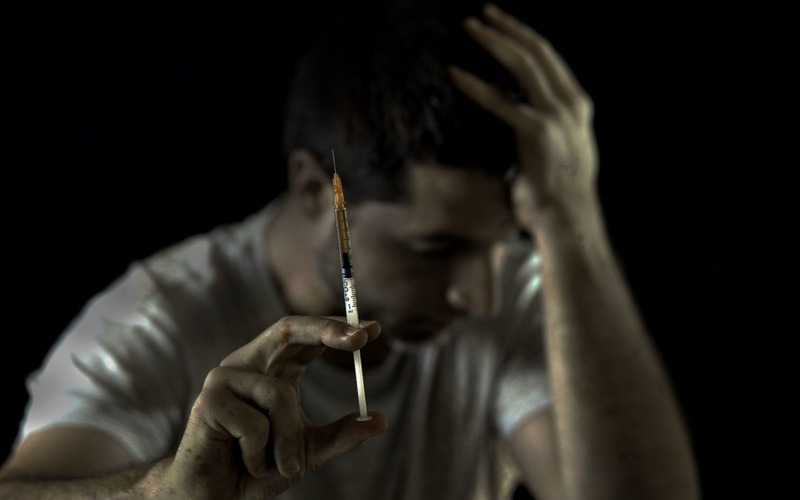 Heroin is a highly addictive drug processed from morphine. It quickly binds to opioid receptors in the brain, resulting in a pleasurable sensation. Opiates are frequently used to treat pain. If a person develops an opiate tolerance, he or she is prone to consuming high quantities of opiates. In this instance, an individual may be susceptible to an opiate overdose, too. Research indicates kratom may help people alleviate opiate withdrawal symptoms. In fact, one survey showed nearly 70% of people using kratom for opiate withdrawal were able to reduce or stop their opiate use. Red vein kratom is sometimes cited as the best kratom strain for opiate withdrawal. It simultaneously replicates the effects of opiates and delivers pain relief. Regardless of which kratom strain is used to address opiate withdrawal symptoms, it is important to use the proper amount of kratom. Yet determining the correct kratom dosage can be difficult. Oftentimes, a low dose of kratom consists of 3 grams or less. A medium kratom dose usually consists of 6 grams or less, while a high dose exceeds 6 grams. The optimal kratom dosage for opiate withdrawal varies based on the individual, the kratom strain, and the strain’s quality. If a person fails to evaluate a kratom strain closely, he or she risks kratom addiction. If a kratom addiction goes untreated, an individual may suffer myriad health problems as well. In addition to relieving opiate withdrawal symptoms, kratom may help individuals reduce or eliminate heroin withdrawal symptoms. Heroin withdrawal symptoms generally begin six to 12 hours after last use. Meanwhile, these symptoms typically reach their peak within two to three days of onset and linger for up to a week. Kratom has been shown to help individuals improve their mood, reduce chronic pain, and enhance the digestive process. Yet there is no research that shows kratom can be used to treat heroin withdrawal. Combining kratom with other drugs is also dangerous. Using kratom in combination with other drugs increases a person’s risk of a fatal drug overdose. There are many risks of using kratom to treat opiate and heroin withdrawal. Yet few alternatives are available to help individuals effectively combat opiate and heroin withdrawal symptoms. For those who try to overcome an opiate or heroin addiction “cold-turkey,” the dangers can be significant. These individuals risk physical and psychological withdrawal symptoms, along with a relapse. They also risk an opiate or heroin overdose. Comparatively, research indicates ibogaine offers a potential solution to address opiate and heroin withdrawal symptoms. Ibogaine is a naturally occurring indole alkaloid that has been shown to help people alleviate opiate cravings and withdrawal symptoms. It also helps improve mood and energy levels. Dr. Deborah Mash of Clear Sky Recovery has published over 30 monographs in peer-reviewed medical journals related to ibogaine and its ability to combat drug dependence. During ibogaine therapy, a person’s body metabolizes noribogaine, a long-lasting ibogaine metabolite. Noribogaine stays in a person’s body for up to four months and helps make serotonin, a neurotransmitter that helps modulate mood and social behaviors, available in the brain. As a result, ibogaine therapy simultaneously helps a person improve his or her mood and reduce symptoms associated with post-acute withdrawal syndrome (PAWS). PAWS often causes intense emotional, physical, and psychological symptoms. It may last for up to two years after a person’s last use of a particular drug. If a person is unprepared for PAWS, he or she risks a relapse following an addiction treatment. Thanks to ibogaine therapy, individuals are better equipped than ever before to stop PAWS symptoms. Ibogaine therapy has been shown to reduce up to 95% of symptoms associated with opiate withdrawal as well. Ibogaine therapy allows a person to reset his or her body to its pre-addicted state. It also helps a person identify the root cause of his or her addiction. An ibogaine treatment program begins with ingestion of ibogaine HCL, resulting in an immediate reduction in withdrawal symptoms. Then, an individual enters a dreamlike state in which he or she experiences visions that help heal the subconscious. At this point, an individual can evaluate the feelings and trauma associated with his or her addiction. Finally, an individual can use the ibogaine therapy experience to overcome his or her addictive behaviors. Ibogaine therapy is a transformative addiction treatment, one that helps people minimize drug withdrawal symptoms. If you or someone you know is dealing with an addiction to opiates, heroin, or other illicit substances, Clear Sky Recovery’s medically-based ibogaine therapy can help. To learn more about our ibogaine treatment program, please contact us today at 305.901.5371.